UPDATE: To date, our capital campaign has raised $641,318.00 that has been inserted into the project! We are just $8,000 away from fully funding our kitchen. Hilltop Montessori School’s third and final expansion will enhance our campus so that our LEED rated green school will be complete, offering all the amenities necessary to address the whole child: academically, socially and emotionally. This expansion is vital to our mission and our vision for the future-to be the premier Montessori school in the South graduating students that are prepared for the 21st century. 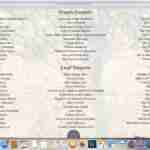 At this time, the school would like to publicly recognize all of our donors that have supported the project to date, although please realize this is not a comprehensive list as HMS has many donors who support the expansion anonymously. Mamma Rainbow’s Deep Roots Gardening Nutrition Program, courtesy of the Dunbar family-Hilltop Montessori School students will continue to participate in gardening organic and fresh vegetables outside of each classroom, and the harvested produce will be integrated into the student’s practical life experiences, food preparation and nutritious snacks. Through this outdoor learning experience, the children will be exposed to the benefits of botany, the seed-to-plate relationship and the uniqueness of being able to prepare and eat what they grow. Good nutrition is emphasized, and the students will continue to regularly dine on Swiss chard, tomatoes, okra and other foods from their outdoor classrooms areas. The addition of the teaching kitchen (still available for naming opportunities) will make this program even more successful. 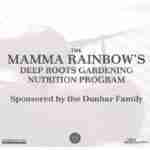 Hilltop’s program is listed as part of Alice Water’s Edible Schoolyard Project under it’s new name at: http://edibleschoolyard.org/program/mamma-rainbows-deep-roots-gardening-program-courtesy-dunbar-family. 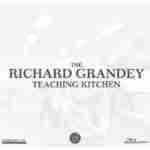 The Richard Grandey Teaching Kitchen-Modeled after Alice Waters’ Edible School Yard Teaching Kitchen, the Richard Grandey Teaching Kitchen will be a multi-use space for the community of Mt Laurel and Hilltop Montessori School. Serving all natural and locally grown food, the students will have the option of a fresh, nutritious (but still kid-friendly) lunch prepared on site. After hours, the kitchen will be able to accommodate events in the space for those in the Mt Laurel community who need the facility. The teaching kitchen will be large enough to accommodate students in small groups who will have hands-on activities, integrating science and math to food preparation in keeping with the Montessori model. The Agape Apiary in honor of Susan Nelson & Cindi Stehr-We have an apiary on site that is tended by several of our staff members who are apprentice bee keepers and by one student who is trained in the art of beekeeping. The honeybees have been a great addition to campus, and the students have enjoyed learning the benefits of having the bees on site. Fresh honey is integrated as part of the children’s snacks as it is available, and learning more about the process of the hives, the life cycle of the bee and the precautions necessary to beekeeping has added excitement to the students’ environmental education curriculum. The bee hives have also prompted some of our students to set up hives at their own homes so bee fever is contagious! The apiary program is being funded by Cindi Stehr and the Holmes family, in honor of Susan Nelson and Cindi Stehr for their diligence in getting our bees on campus and maintaining them. The summer of 2015 honey harvest was sponsored by the Bayless Family and the Anders Family (Frostborn Honey). The Yang Family Science Laboratory-Intimate and small, a science lab will be added to the current facility for grades 1-8 to accompany their Montessori science curriculum studies in biology, chemistry, physics and other aspects of the Montessori science curriculum as a compliment to classroom work. 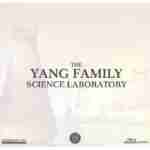 Courtesy of the Yang family, the current middle school classroom will become a science lab. We are looking forward to future generations of scientists in our new lab space in conjunction with our phase three expansion. With an already extensive science lab collection of equipment, we will finally have a permanent home for our dissections and other scientific explorations. 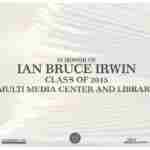 In Honor of Ian Bruce Irwin, Class of 2015, Multi-Media Center and Library-Our current music room will be transformed into a multi media center and working library with the assistance of the Irwin family, in honor of their son, Ian. Although a traditional library is a thing of the past, this multi media library will provide various reading materials, references and opportunities for technology integration for grades 1-8. At the early childhood level, Ms. Toni Vickers is assisting with the development of a true library experience for the younger students to gain further appreciation for literature and reading. Thank you to Carla and Bruce Irwin for providing this venue for future generations of students. We will miss you, Ian! The Butterfly Peace Garden, courtesy of the Wilensky family-The school’s backyard campus is adjacent to a bioswale retention area that will be developed as a native butterfly garden for future generations of students and the residents of Mt Laurel to enjoy butterflies and butterfly bushes native to Alabama. 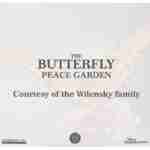 The Butterfly Peace Garden is being developed courtesy of the Wilensky family as one of the many projects occurring during the expansion process. The family hopes this will become a quiet retreat for students and faculty, and for the Mt Laurel community after hours. 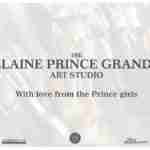 The Elaine Prince Grande Art Studio with love from the Prince girls-Our new art studio will offer an outdoor art studio so that the students can draw, paint, sculpt and express themselves creatively. Named after their aunt by the Prince family, this art classroom area will be a wonderful addition to the Phase Three Expansion. Having a dedicated art room, instead of a shared space will give the students an opportunity to seek a quieter place for reflection and self discovery through the artistic process. Thank you to the Prince family for this wonderful addition to our fine arts expansion. Helen M. Kluz Piano Studio, donated by Ted and Derek Kluz-Our new fine arts area will offer more private rooms for the student’s piano and violin studies and the Helen M. Kluz Piano Studio will be a wonderful extension of the already named, Chung Fleisig Music Center. Hilltop is proud to offer private piano and violin lessons through their extensive music curriculum and the private piano studio is being named after Mr. Derek’s mother, who passed away from cancer. This wonderful tribute to her spirit and love of music will live on forever in our new building, courtesy of Ted and Derek Kluz. The Ursula Thrush AMS Peace Labyrinth-Made from local stones, the wonderful peace labyrinth will be a place for quiet reflection for our students and the community after hours. Created and designed by the students, this will be a wonderful contribution to the property from the older students in the school. Through a very generous grant from the AMS 2017 Ursula Thrush Peace Seed Grant, will feel this special place will offer tranquility for visitors and students alike. With other opportunities for naming, interested donors are invited to contact our development office at 437-9343 for additional naming opportunities. Want to read the beautiful poem from our groundbreaking ceremony? Click here: groundbreaking poem.